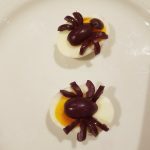 There are some eggcellent (ha) recipes for halloween in their free Fresh magazine this week at Woolworths. 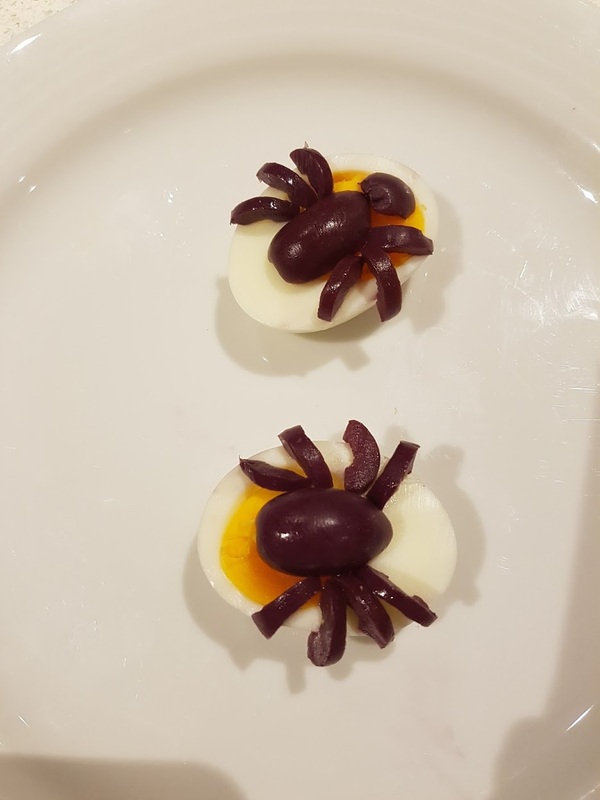 This is the lazy version – hard-boiled eggs with olives on top, cut into spiders. I bought a handful of kalamata olives around the corner. Cut them in half, removed the seed, and used one half, sliced for the legs. Yes, spiders have 8 legs.